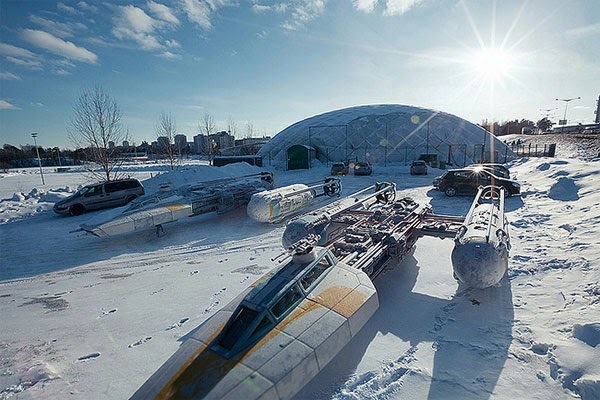 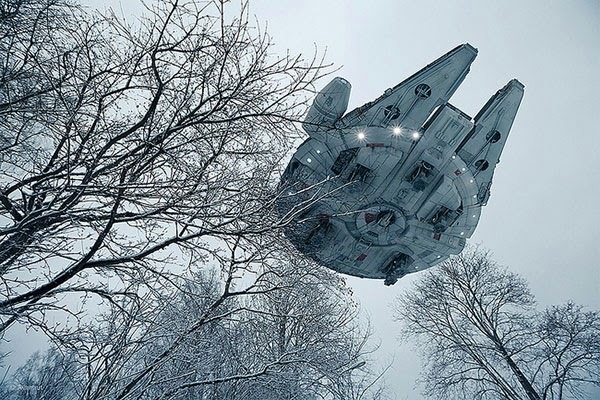 I don't know about you but these Star Wars scale model photos set in real world environments look pretty convincing. 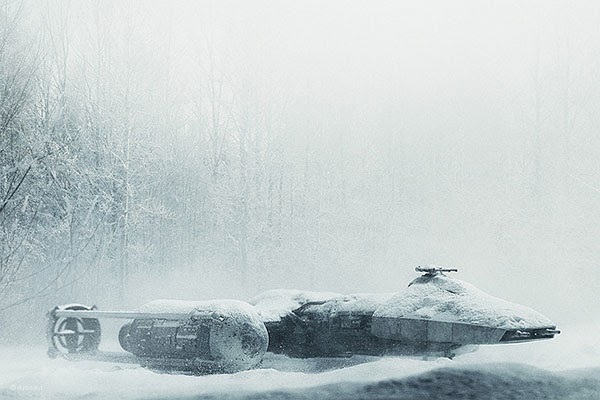 The models he used are old MPC models built in the late 1970's and early 1980's, from his son's toy collection, which he photographed and photoshopped into these believable scenes. 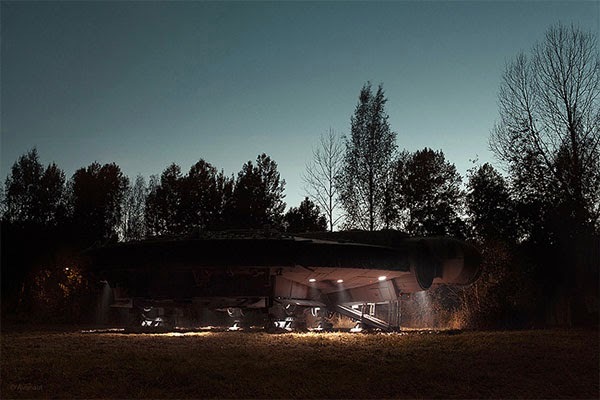 My photography has been influenced by many miniature photographers, but perhaps my favourites are Michael Paul Smith's automobile shots from the imaginary Elgin Park town and Cédric Delsaux's magnificient Star Wars photographs.